David Fish, one of our recent visitors to this little corner of the web, lost his father in the Southern Philippines during a Marine PBJ Mitchell mission in 1945. His father served with VMB-611. David’s note reminded me that I had some photos and film footage of Marine PBJ’s. In doing some research, it looks like the film footage is of VMB-612, and I could swear the legendary Jack Cram is in some of the sequences. Not sure which units the photos are of, but I am posting them here today in hopes David might be able to catch a glimpse of his dad. Stay tuned for another post in a few hours. In 2009, I lost somebody in Iraq very close to me. I used to call him my unofficially adopted son. Almost six years have passed and I think about him every day. The sense of loss, the grief over his death has diminished, but I know it will never go away. His death became one of those inescapable fault lines in life that change everything. I look back, and I see my life was heading in one arc before 2009. After, it went a totally different route after his death. I remember in the 1990’s when I was interviewing Gerald Johnson’s widow, Barbara, her grief over his death had been one of the defining elements of her entire life. It never goes away. My friendship with Barbara gave me the first insight I had into the cost to those left behind in the wake of war. I was so young and naive back then, thinking that the war was a great and tragic adventure, the source of endless stories. Barbara suffered through seven decades of pain after Ged died in 1945. I get that now. Jeez. Even writing about this chokes me up. Anyway, whenever I can, I’ll do what I can for those of you out there who have lost someone in service to your nation. I’ve collected about 45,000 photographs over the years and have a lot of film footage as well, and I’ll do my best to find images of your loved ones, or at least of their units. Death, like a pebble dropped in a pond, ripples outward through families and through time, sometimes through generations. As Allan said – one death affects us all…. I am so sorry for your loss. The effects of a death like this last much longer than the war itself. Thank you, John. And you are spot on. It never really goes away. You just learn to live with it better. I stumbled on to this site yesterday. My dad was a Rakassan, 187th Glider Infantry/11th Airborne. You have a short video clip from their last jump into Apari from Lipa. 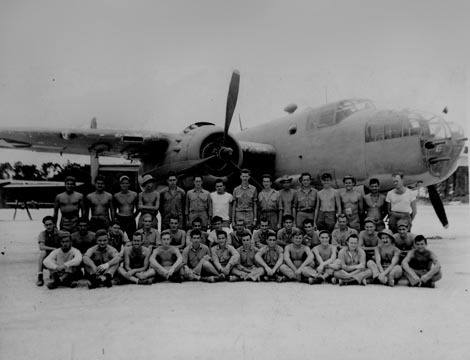 Mission was 6/21/45-7/2/45. I am pretty sure I might be seeing dad at the 1:40 mark laying on the side of the road. Can you provide me with some contact information for whoever had the clip? Dad had a brutal, albeit short experience June 1945-March 1946. Took his own life at age 39 in 1962. Our son was a Staff Sgt/Team leader/point man with MARSOC Raiders and was in Force Recon as well. Helmand Valley 2009-2011. Tony, I have the clip and can get it to you. I wrote a book with a MARSOC JTAC named Michael Golembesky called Level Zero Heroes. Who is your son? Was he in Helmand the whole time for those two years, or did he ever cross paths with Dagger 22 up in BMG? Thank you for writing! I’ll check on the size of the clip and see if I can e-mail it to you. Can you tell me where you got that clip? I have traced a version of it to Critical Past and my sister (a video editor) is about 99% sure itâs dad. Dad would have been 92 had he lived so most of those guys are likely with him in Heaven, but we are trying to also compare images in the clip to other photos. Our son is John Michael Wayne. He was a staff sergeant/point man and team leader for MSOT 8111. Based out of Pendleton. Yes, most of his tours were in the Helmand Valley. Marines know him as âJohnâ but we call him Michael. He was instrumental in developing/refining/perfecting the Afghan commando model transfer. Was also a recon Marine before making the move to MARSOC. Unfortunately, highly kinetic tours have really taken a toll. He struggles with PTSD and the ramifications. Been out two years, was in for close to nine. See attached photos.